Hailing from Portugal, Factory of Dreams offers a spacey, symphonic and (at times) admittedly overwhelming brand of progressive metal. Their album Melotronical has earned itself plenty of listening time; as someone who has probably listened to more than his fair share of the genre, it’s always surprising to hear a band that manages to impress me through the sheer visceral scope of their sound. Thanks to band mastermind Hugo Flores for taking the time to answer these questions. First, tell me the story behind your band name. What meaning do you hope to have listeners glean from the image of a Factory of Dreams? 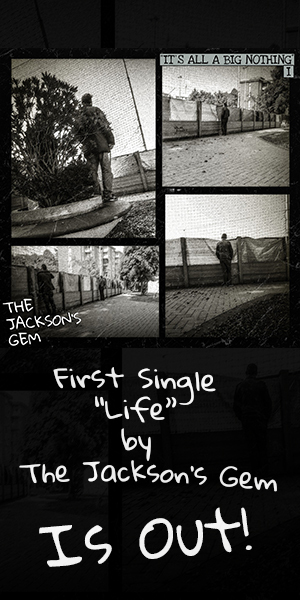 Hugo: The name was chosen as soon as the story of our first album Poles was written. All songs from Poles were composed really quickly, because I wanted to move away from the progressive genre of my Project Creation and spontaneity was exactly what I was aiming for at the time. So, for like a week I composed most of what was to become Poles. Poles was about a World, divided in two parts, a negative and a positive side, and it was balanced by a Factory of Dreams whose goal was to keep everyone’s minds living in an illusion or a dream-state. So, Factory of Dreams was this machine, messing with people’s hopes and dreams, which in a way serves as an analogy for our own World and for promises made by governments. As a band name, it is certainly related to this mythical approach and scifi genre but also to provide a way for a band to produce magical and dreamy music. Although Factory of Dreams draws a lot from symphonic and gothic metal aesthetic, I would describe your sound as a very space operatic brand of progressive metal. What inspired and influenced this unique sense of style? Hugo: All my music has been pretty much diverse, because it depends and relies on my mood and on what I wanna try now so to speak. However, scfi, metal and progressive have always been connected to me, and do link when it comes to music. I suppose that my love for the mystery, for space and everything ‘unknown’ to us as helped create a sense of music that definitely makes use of synthesizers and spaciousness. It all blends into a cybernetic kind of metal I’d say, with lots of ambient but also a wow-factor, mostly heard on Melotronical. To me Music is emotion, melody and power being all of these elements connected to create some emotional response from the listener. Sonic Sensations if you will. Apart from music, cinema and literature focused on scifi also influenced many of the stories and ideas behind my album’s concept. 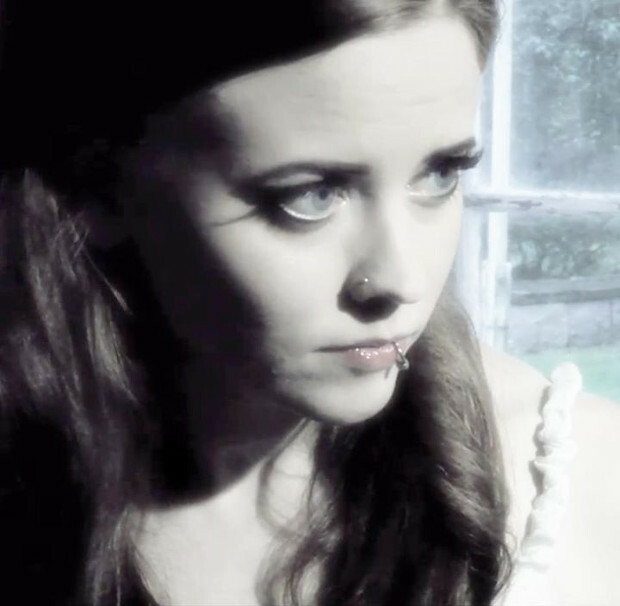 You have had a longtime collaboration with soprano vocalist Jessica Lehto, who also has experience working with Nightwish. How did you meet her, and what about her voice first made you decide that you wanted to have her as a vocalist in your music? Hugo: It wasn’t all about the voice, but rather a combination of factors. Voice of course, but also drive and being a competent composer and being able to record on her own. Coming up with all the melodies for the lead and the harmonies, is not an easy task and requires outstanding skills and creativeness. As for the most important thing, her voice, she has quite an unique tone and timbre that could work both on rock/metal but also on an more operatic vibe. I met her over the internet, at the time via Myspace, after I contacted her and asked if she’s like to record a demo for Poles. Although I’m coming from a much more prog-based listening background, symphonic metal plays just as much- if not more- of a role in Factory of Dreams’ music. Female soprano vocals and dense orchestrations are both used in no shortage. What attracts you to this sort of traditionally ‘symphonic’ instrumentation, or the gothic atmosphere those techniques are also often associated with? Hugo: It’s all about two things: emotional melodic sensations and power as I mentioned previously. Power comes from the heavy and dense guitars, all molded into a wall of symphonic synths. Then the main melody, which is the fingerprint of music, always. The prog side is also present because I really don’t do what sounds ‘normal’, I like to try and venture into new grounds. So, I guess these are the things that attract me to this kind of sound, but I don’t think it is at all the traditional symphonic metal sound usually heard on many Nordic metal bands, but rather a more electronic and ambiental metal approach. 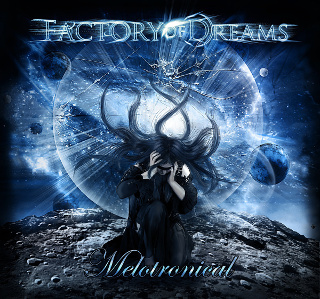 Melotronical isn’t just my favourite Factory of Dreams album- it is one of the most ambitious-sounding and impressive symphonic metal albums I’ve heard in a long time. Sort of like the way Wintersun’s Time I crossed me, it feels like every second of music is packed with as many orchestrations as it can hold, creating a sound that is, to put it humbly, larger than life. What’s behind the creation process for a project like this? What impressions might you seek to conjure from the listeners during your writing process? Hugo: Thanks! I can certainly relate to Wintersun’s Time I; it’s a great example of melodic power driven by a powerful wall of sound approach. So, first off, every FoD album is different, perhaps because my mood is different every time and because I like to try different aspects of sounds. However, one will see that a similar sound is present both on Melotronical and the new album. The difference is that Melotronical is more focused on a certain style, and ‘Some kind of poetic destruction’ isn’t so heavy but wider in sonic spectrum. That’s also one of the reasons for more guests on the latter. I must agree that Melotronical is one of a kind. I basically wanted one thing with Melotronical – a full-blown Tronic kind of sound – there’s no other way to put it. There are crazy twists, fast parts quickly overthrown by massive wall of sounds synths and sudden breaks. Each time you hear this album, there’ll be new stuff to pay attention to. Also, it’s one of those albums where long lasting melodies will stick in your mind. For me the creation process always begins with an idea for a story. This leads to start playing a bit on the synths and defining songs and melodies for this concept. For Melotronical, just like with Poles, I had a very defined idea of what I wanted, and Melotronical was gonna be a mechanical, tronic, pulsating sound. After the song structures are done and the basic lines are composed, then it’s time to start sculpting the material, adding and recording guitars, bass and more instruments. In parallel lyrics are enhanced for each track. Once I have the song basically recorded, they are sent to Jessica for vocal tracking. Mixing takes usually a long long time, because I try to perfect all that I can so the sound is what I really envisioned. So, this is basically it. I usually stay true to what I initially intended to do story-wise and sound-wise. Your latest album, Some Kind of Poetic Destruction seems to be conscious of how wild and crazy the music was on Melotronical, and scales down the level of density by comparison. Is there any truth to this? Were you wanting to reinvent the band’s sound with the album, or do you think of this album some other way? Hugo: Honestly, initially I wanted to make a Melotronical part 2, however, like all my music, during the composition process my mind just wanted to make something different and this time more story-driven, and so the music had to adapt to the story. This means that the scope of styles had to be wider, but less focused on a style. So, you do have Melotronical-like tracks and heavy stuff like Neutron Star, which by the way is one of my favs tracks ever, but also songs with a much different sound vibe. All my albums have a story and a concept. Melotronical’s concept was not so easy to get a hold of, it was more surreal. Science fiction plays a dominant role in your music lyrically speaking. Melotronical was home to many a galactic reference, and Some Kind of Poetic Destruction has gone as far as to incorporate an apocalyptic sci-fi narrative. What draws you to science fiction so much? Do you think it’s an appropriate fit for a style of music like progressive metal? Hugo: I think scifi goes best with music genres that invite you to dwell into new grounds. In my case, I’m not looking for a specific genre, but rather a vehicle to show my stories and what I like. It so happens scifi manages to combine the best of all styles, and is able to present drama, action, mystery and provide a way to explore new ideas, technology and scenarios. You can make a down-to-earth story, that everyone can relate to, and still throw into the game some futuristic concetps and situations. The progressive kind of music is indeed well adapted to the scifi genre. Just like scifi explores new ideas and worlds, progressive/symphonic metal does the exact same thing when pushed sonically and structurally. What inspired you to first pick up the guitar? Any tips for practicing? Hugo: For composing, I usually turn to the synthesizer since it conveys a lot of emotions from its different sounds; but second best is the guitar. Tips for practicing, really train and exercise your fingers, with different movements for soiling. Do that while moving your arm up and down the guitar’s neck, and on each of the strings, while playing an evolving riff. Try some scales, start from basic to more complex. But most of all feel the music and what you’re playing. You don’t need to play fast, but rather with your mind and feel what you play. Another thing, if you’re a composer, try to use the guitar as a vehicle to compose, so try both lead melodies and then try the rhythm over that. This way you can construct a full song with rhythm and melody. What have you been listening to lately? Any excellent albums you might be able to recommend me? What are the challenges or benefits of working largely as a one-man act? From what I understand, the compositions and almost all of the instrumentation rests in your capable hands, and the rest of the collaborators (besides Jessica) play more of a guest-spot role in the music. Hugo: Yes, mostly guest spots, aside from Jessica and the occasional guest singer. I’ve never tried to work with anyone else, besides my first works with Sonic Pulsar, so I’m really used to be on my own. 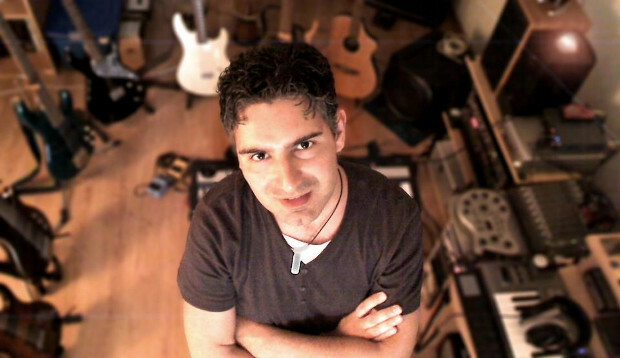 The good thing is that I can do whatever I want, no one is imposing their ideas which to someone like myself who has a very defined idea of what he wants to do, is just ok.
What advice would you give to other musicians with regard to performance, composition and/or recording? Hugo: Do your own thing. Even if you’re recreating a band you like, try to put some of your ideas and make something original. It’s possible to make a good record with semi-pro equipment, you don’t need a million dollar studio to do so. Practice and gain as much experience as possible with multitrack sw studios and plugins, nowadays it’s half a way to a good production. The logistical problems aside, would you ever consider performing this stuff live or touring? The music seems like it would be perfect for a cosmic live experience. Hugo: I did consider, but logistically it’s not easy and the way I live my life today it’s difficult. But we never know what the future holds. Any last words, favorite cheeseburger, or something important I may have missed? Hugo: I’m having way too much burgers man I just hope people will enjoy the work put into my albums, both Factory of Dreams or Project Creation. I’m working right now on the final Project Creation album, and on ideas for a next possible Factory of Dreams.